This entry was posted on June 19, 2013 by Lightning Labels. Spice labels can stick to any sized jar and contain just about anything you want - a company logo, a description or even a custom graphic - and thanks to the experienced team at Lightning Labels, they have never been easier to order! Spice labels may be affixed to any jar or container, whether you need to re-label your own supplies or are trying to sell a seasoning mix. Spice labels can help you get organized. Lightning Labels uses a high-quality printing process for all spice labels, meaning graphics will be vibrant and crisp, and color will not fade after sitting on the shelf. The labels will not peel off after spending time in storage. No set-up fees, no plate fees, and no added fees for unlimited color! It's easy for your spice rack to fall into disarray and have no idea what jars contain, but spice jar labels can help you reorganize. For individuals who cook regularly, not knowing which spices are in which containers could be perplexing and annoying. Lightning Labels makes it easy and affordable to improve your kitchen. You can order a large or small quantity of spice jar labels without stretching your wallet. 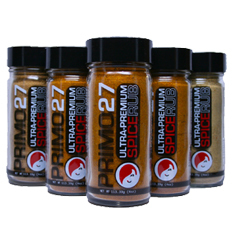 Whether you're looking to organize your spice shelf or sell a unique seasoning mix, the experienced printing professionals at Lightning Labels can make your ideas pop! Call Lighting Labels to Order Spice Jar Labels Today! Lightning Labels offers full-color digital printing. Check out our custom label samples and sticker proofs for quality assurance and design ideas. Lightning Labels has been servicing the printing needs of our customers for more than 10 years. We are extremely proud of our BBB rating (A+) and guarantee your experience with us will be a positive one. Call us at 888-907-3004 today to place your spice jar label order and watch sales skyrocket!